I havent always been into makeup. In fact a little over a year ago, the thought of putting makeup on before the school run was a big no-no. Then something just clicked and I really wanted to start to make more of an effort to make myself feel good. I have watched endless Youtubers doing there make up, Seeing the transformation is amazing and lovely to watch. I wanted to be able to do that as well. Problem was I just didn’t have a clue where to start. 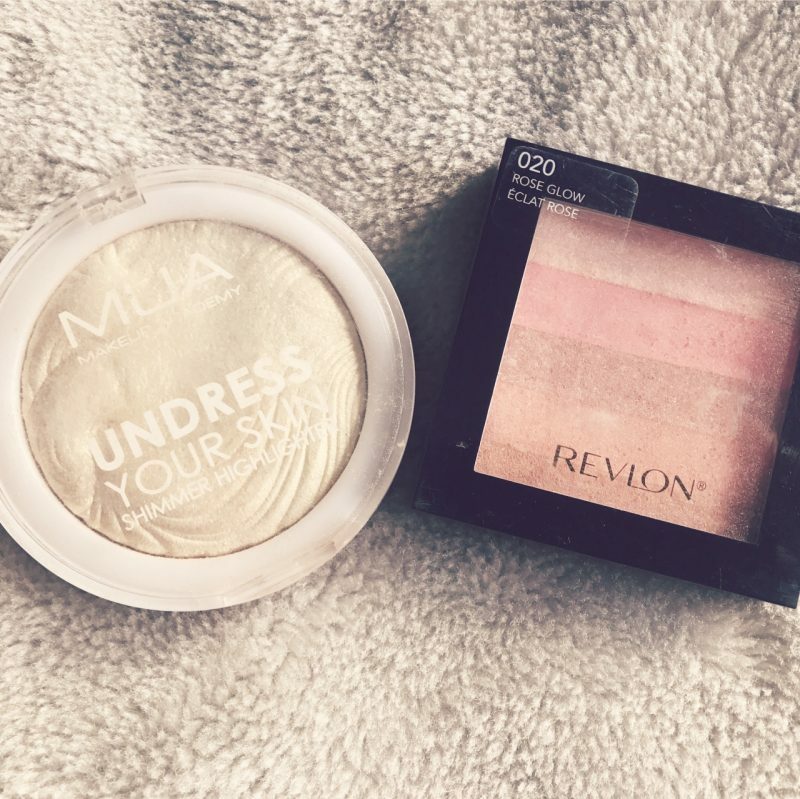 I was a makeup virgin, I had old eye shadows and foundation from Avon (no offence Avon) and didn’t have a clue what concealer or highlighter was for. Never mind BB cream and setting powder. It really felt like they all spoke a different language. My beautiful niece was my saviour. Yes she was just 16 at the time and telling me how to do my makeup. She sat with me and went through everything she thought I needed and how to use it. She then went shopping with me and helped me with makeup brushes and sponges. I had just used my fingers before ? Now every week day I do my makeup. I thought it would take too long would annoy me having to do it. It actually only takes 5 mins max. And it really makes me feel ready for the day. 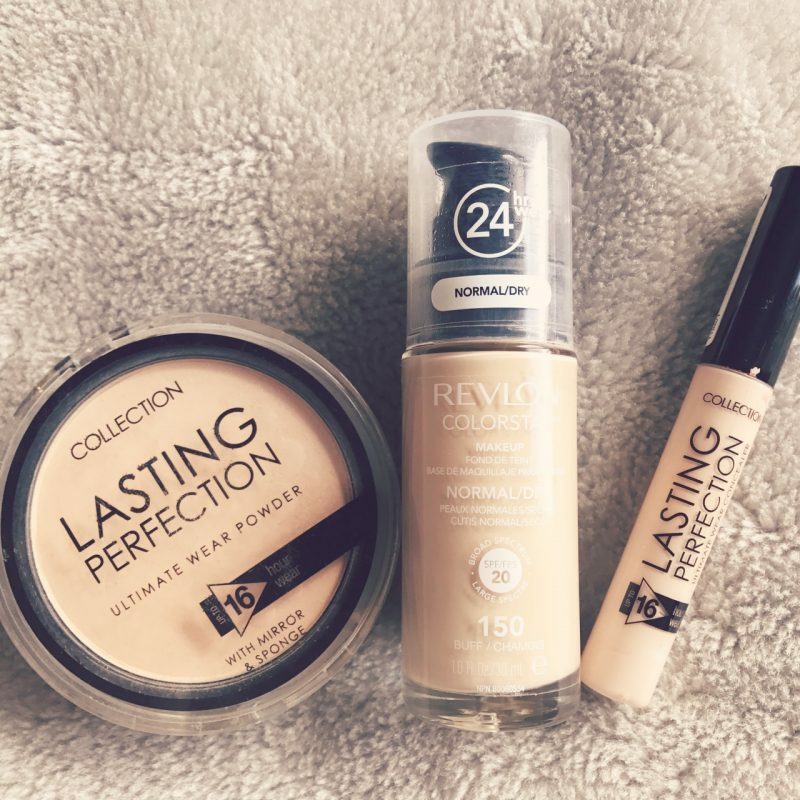 The Lasting Perfection Ultimate wear is just perfect in everyday. It covers everything and anything. This £4 normally. Again I use the Lasting Perfection Ultimate Wear powder. I admit i don’t wear this everyday. Just for longer days when i need the makeup to last. This is also £4. MUA is the best highlighter according to my niece and I can’t argue. For the price £3 from superdrug it really is a bargain. 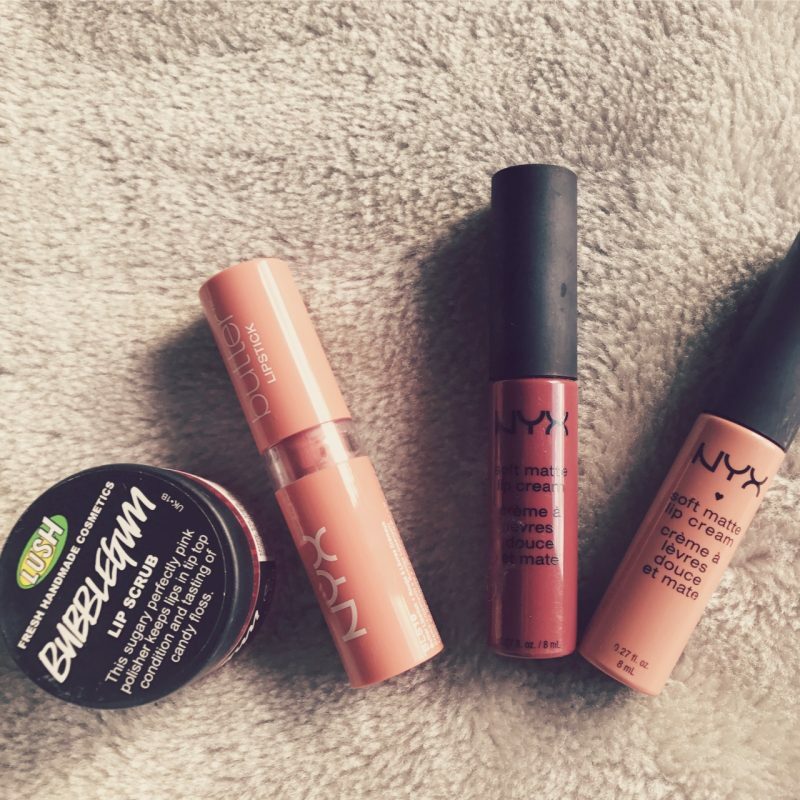 I am in love with NYX makeup especially their range for lip wear.The Butter lipstick is so smooth and last so long and the range of colours is brilliant. And their Soft Matt Lip Cream is like rubbing mouse onto your lips. Both are £5.50 from Boots. Again NYX have some beautiful Pallets and at £13 its really not that bad. They are really pigmented as well (I had no idea what this meant a year ago) so the colour really comes out on your eyes. 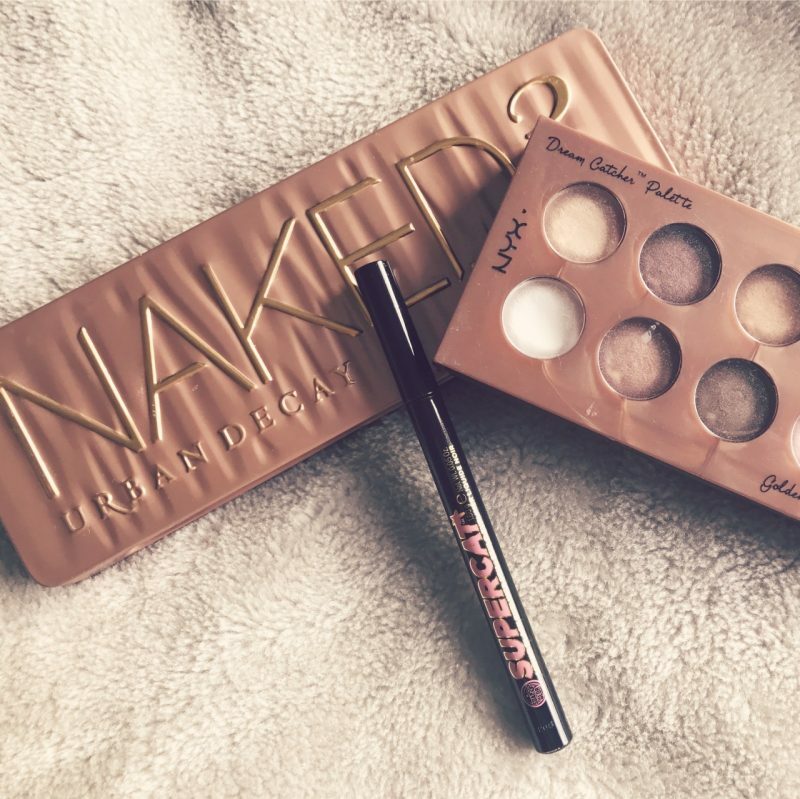 I was bought an Urban Decay Naked Pallet I wasn’t going to add this in as it’s not really affordable unless your fairly wealthy. £40 is expensive but a lovely treat or gift and they are really good pallets. I also love a top line and the Soap and Glory Supercat Liquid Liner is brilliant. It’s just like a felt tip and glides along your tops line with ease. This is £6 so not cheap as chips but it last so long so worth it to me. These are now firm favourites and used everyday. I have come to love doing my makeup and having different looks for different outfits. 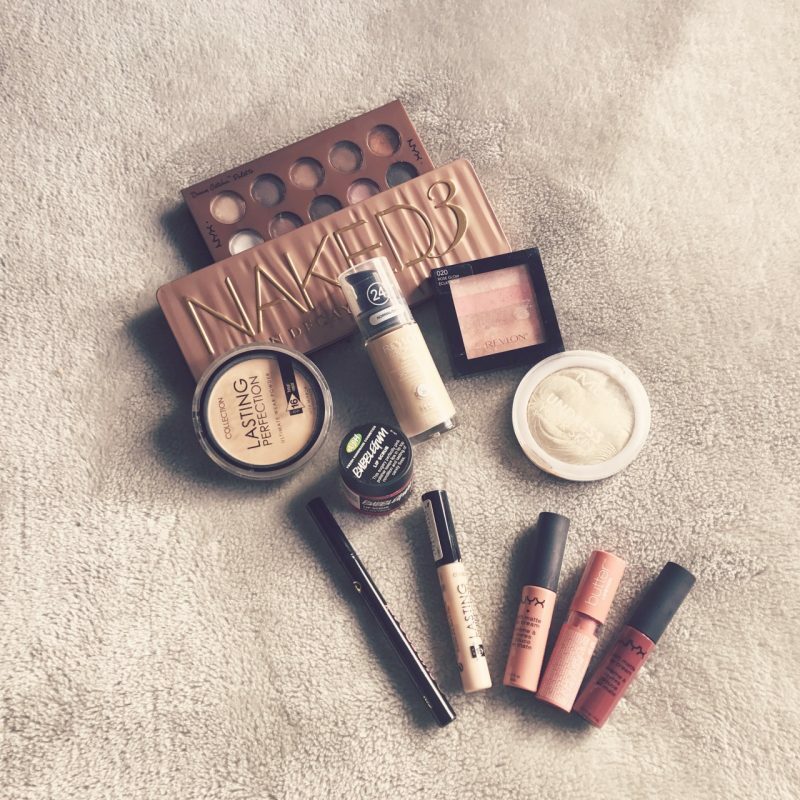 Let me know what your makeup must have’s are?